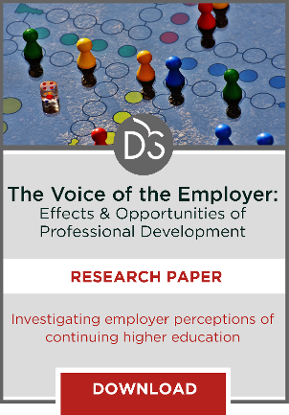 Strong relationships between higher education institutions and employers have far-reaching benefits, from improving program relevancy to ongoing learning pathway establishment, but it takes a unique culture on both sides of the partnership to make it work. 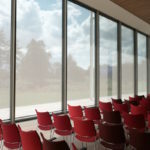 Program relevancy, learning outcomes and workforce preparedness are high priorities for higher education institutions today across all offerings, be they strictly professional or even in the more broad liberal arts disciplines. However, the basis for this relevancy can be difficult to establish. Employer partnerships, beyond serving as fruitful revenue streams through corporate training, might be the answer. Shifting from a one-way education model to a more symbiotic partnership can help institutional leaders inject workforce relevance at every level of the institution. In this interview, Susan Brennan shares her thoughts on what it takes to establish strong partnerships with employers and reflects on benefits these partnerships can have. The EvoLLLution (Evo): How can college and university leaders form, and strengthen, their bonds with employers? Susan Brennan (SB): Forming and strengthening employer bonds needs to start at the top and has to be an institutional priority practiced across the entire campus. That is something that we’ve been able to accomplish here at Bentley University. My perspective comes from leading a career services team that serves all of our undergraduate and graduate students as well as alumni. Our focus is on making sure that our employer partnerships are keeping our curriculum relevant and creating possibilities for our students to have experiential learning and mentoring opportunities while they’re here, as well as opportunities for meaningful work after they graduate. Evo: What role do career services professionals need to play on campus in ensuring that programs offered across the different faculties actually respond to what’s in-demand from employers? SB: Career services plays the role of a translator, and it really can be an effective bridge between students, employers and faculty. We translate the needs of employers in the marketplace back to faculty and curriculum, as well as to students as they’re exploring careers. Across the university, we consider employer relations to be everybody’s business, and all of our career coaches work very closely with a targeted population. They are really career community managers who bridge those relationships between the employers, students, faculty and alumni to bring that real-world experience and relevance into the student’s time while they’re here on campus and beyond. Evo: When considering employer partners, what are a few characteristics employers look for when determining whether a college or university would be a good fit? SB: I can only speak from the experience of the employers that we work with, and I would say we’re all looking for a match in terms of relevant curriculum so that we are going to be preparing graduates for the roles and career paths at the organization. Additionally, the customer service the institution provides the employer is going to be key. From the institution’s end, a key account manager who can be that bridge to the employer is critical. This individual provides that level of customer service to the employer and we would expect that back from the employers so we can really streamline that relationship. Ultimately, an institution stands out by serving a broader business solution for the employer, whether that would be through research, curriculum, teaching and other thought leadership that the university can provide. Evo: Vice versa, how do institutions identify employers that would be good partnership fits? SB: It’s a combination of head and heart when it comes to those partnerships, and we’re using data to inform our decisions. We’re looking at metrics including how many interns and full-time hires an employer makes each year. We also take into account their involvement on campus—whether they’re posting jobs or interviewing on campus, whether the roles align well with our programs and curriculum, their numbers of alumni employed, geographic mix, and more. We also respond to the students in terms of partnering with employers they’re interested in working with. It’s an art and a science to find those key corporate partners, and it’s always evolving as the needs of the students change or as our academic programs expand. This requires that career services stays informed about the economy and is able to identify emerging opportunities and needs. 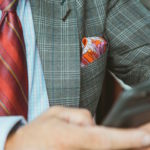 Evo: How can technological tools be leveraged to help career services professionals really ensure that they’re delivering the customer experience that employers and students expect? SB: We can expand our efficiency by leveraging technology. We need to recognize the ease and efficiency (and in some cases, addictive nature) of the experiences students have with technology. Whether that’s a platform that will connect students to alumni for mentoring and advice in an interactive and appealing way, using a platform like our Bentley Link for one-stop shopping for all of your career services needs, or using an app to schedule appointments and apply for jobs, all of that customization is something that our students are looking for, and the technology to support that is going to always be evolving. At a place like Bentley University, we’ve actually built a department for career education and innovation, and certainly the education is at the foundation in terms of the building blocks that we develop in our students to provide that outstanding customer experience and to also prepare our students for that employer customer. Evo: How do strong employer relationships support recruitment and retention efforts of prospective students? SB: Some of the research that we’ve done through our PreparedU project, and that we’ve seen through Gallup and others, all point to experiential learning and mentoring opportunities being key for student success after graduation. It is our responsibility not to leave to chance all of those interactions that students are going to have with employers, which is why we plan hundreds of programs on campus that bring employers into these communities, allowing students to really explore and experiment with career paths and career conversations that bring to life what they’re learning in the classroom. We want to teach students to have the tools to do their own research and explore opportunities but, at the same time, we see it as a commitment on our part both to students and employers to create opportunities for meaningful engagement and connection. This way, by the time students make a decision about where they’re going to land, they had an evolutionary process through their education. Evo: Is there anything you’d like to add about the transformative power that these kinds of employer relationships can have for a university? SB: Institutions need to think about their long-term viability and sustainability. 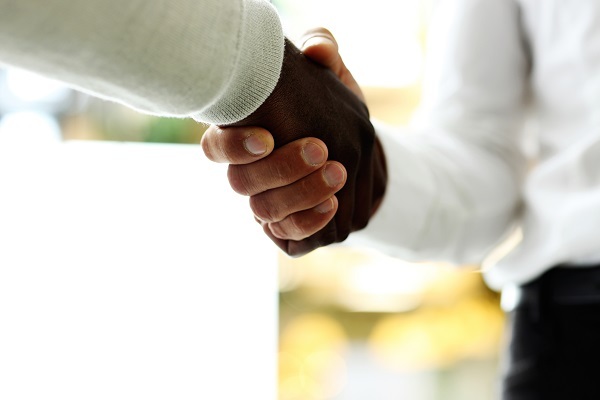 Corporate partnerships can be a way for employers to invest in the institution’s future and, at the same time, be able to really shape the future of the work force. 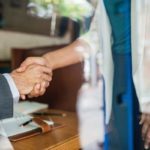 I see there’s much broader commitment in terms of those corporate relationships that can go beyond the talent piece to the investment piece and that there will be return on both ends. Career services divisions can play the role of bridge between academic divisions, employers and students, ensuring program relevancy and strong relations between institutions and major employers. 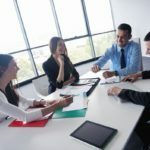 To truly ensure institutional relevance, however, employer relations must be a shared responsibility and a common interest, rather than the domain of a single department or team. Institutional customer service is critical to successful and long-term relationships between higher education institutions and employers.